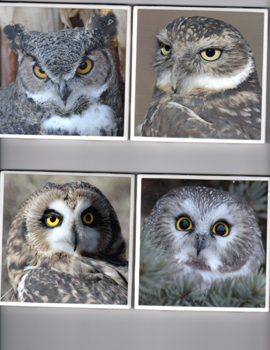 Images in both our Nature/Wildlife Galleries and Event Galleries may be processed to make the items listed below. 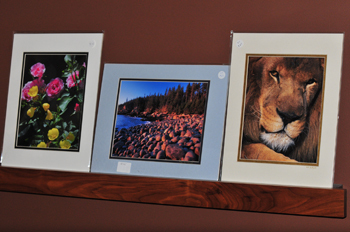 Type, size and cost of frames determine cost of picture. Normally, price will be between $50 - $100+ Please contact us for personal consultation and pricing. 5" x 7" Blank notecard with envelope. 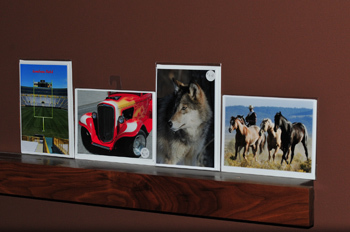 Image is printed directly onto heavy duty notecard paper. 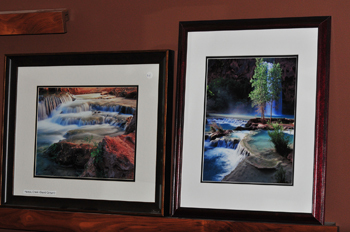 Sold in batches of 3 for $10 plus shipping for LNI images. Images may be the same or varied. Not all of our images are available for tiles. Please contact for consultation. 4" x 4" Tiles with cork square on bottom to prevent scratching. Several overcoats of sealant to prevent water damage to image. $5.95 each, plus $5 shipping for up to 4 tiles. 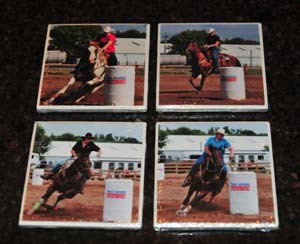 Custom Decorative Tiles from Horse Show images. $7.95 each, plus $5 shipping for up to 4 tiles. Images must be cropped to a 4"x4" image. Please contact for consultation. 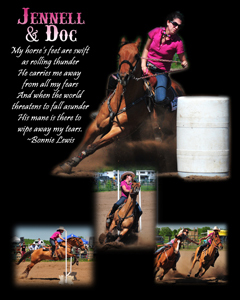 Select up to 4 images and text for a beautiful presentation of you and your horse. 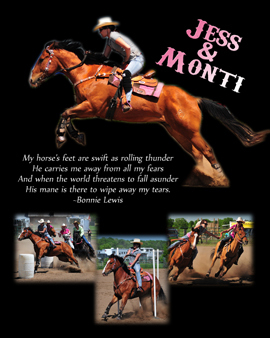 8" x 10" is $27.95 plus shipping. Depending on the product and size requested, some cropping of images may occur. If cropping will change the appearance of image, we will contact you for directions.